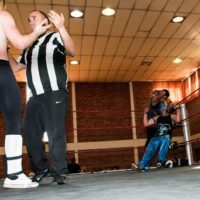 Alexandro is one of South Africa’s most naturally gifted athletes – some say he shows resemblance of the famous “Angelico”. Alexandro forms part of the APWA Faction “The Game Changers”, lead by his mentor and friend Ultimate Nathan. 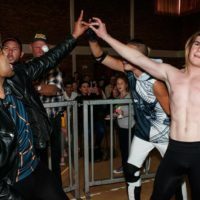 Alexandro is one of South Africa’s youngest professional wrestlers, and is making a name for himself very quickly. Some say the kid, is a younger version of the legendary AJ Styles. He is gifted in the ring, solidifying himself to be a part of the elite new generation wrestlers, as he also can adapt to any style. Alexandro shows flashes of bad and cocky attitude, as his mentors’ attitude shows to rub off on him. 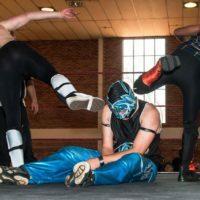 Although both Ultimate Nathan and Alexandro show off way too much, they can both back it up – even stronger as a tag team, they point towards APWA Tag team gold. Alexandro has a very bright and exciting future as he has all the star power and talent to become APWA Heavyweight Champion. The new age is rising in South Africa and Alexandro claims a spot at the steering wheel.